Will Burns has deeply researched this weekend’s fixture list and has a picked out the best ways to make a profit today. We start in the Championship as high flying Huddersfield Town make the short trip to Oakwell to face Barnsley. I feel The Terriers have been on a tear the past few months and have been heavily overpriced here by Bet365 at 2.15. Looking at the stats, The Tykes have picked up just one win from their last seven league meetings with their Yorkshire rivals, drawing two but losing four. 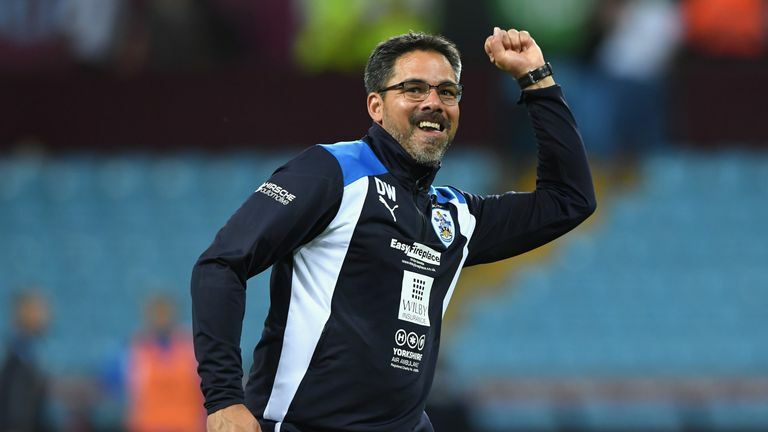 David Wagner’s men are on a run of six successive wins in the Championship; their best run in league football since January 2004. Barnsley are struggling in front of goal and have failed to score in three of their last four league matches and their home form has additionally been poor. They have just won three of their last 14 league fixtures at Oakwell since the start of September. I see Huddersfield notching up another win no problem today. Next up, in League Two, promotion chasers Southend United travel to Gillingham with my pick being Both Teams to Score at 1.90. The reason being the last seven games for today hosts have ended with both teams scoring. For Southend they have seen seven out of their last ten land and see this price very inviting. The same can be said for AFC Wimbledon‘s game with Walsall – Wimbledon have also landed seven out of ten for BTTS and Walsall have saw five from their ten with three of those games being a 0-0 but at 1.90, this is too high to ignore. Get that whacked in. Down to League Two, in what should be a barnburner, Carlisle United face Portsmouth, two promotion contenders with The Cumbrians scoring and conceding in an amazing last 13 games in a row. This bet, again priced at a high 1.90, is a bet that gets slammed into my accumulator every week and it’s going in again! Finally, the relegation threatened Hartlepool United face Colchester United and I can’t look past the The U’s not winning this today at 1.72. Hartlepool are in major trouble just picking up two wins in their last ten games but it’s there away form that sways me towards the Colchester win. The Monkey Hangers have not won an away since the start of October at Grimsby and claimed just two draws in their last 11 games. Colchester’s home form is decent winning six of their last seven at the Colchester Community Stadium and I’m selecting them to round out our huge acca for today. Let;s nail this today. 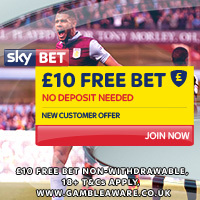 This bet will pay just over 19/1 for a huge win and if you joining us on this one – good luck!